Did you lose or mistakenly delete important photos on your Mac? It can be really frustrating. Fortunately, there are several ways to recover lost or deleted photos. Thanks to the digital data storage system of Mac, deleted photos are not actually removed immediately, only the index of the photos are removed. Their space is marked as available for reuse and the user can overwrite those photos using new files. Hence, using an effective photo recovery solution, you can bring get back those treasured photos. 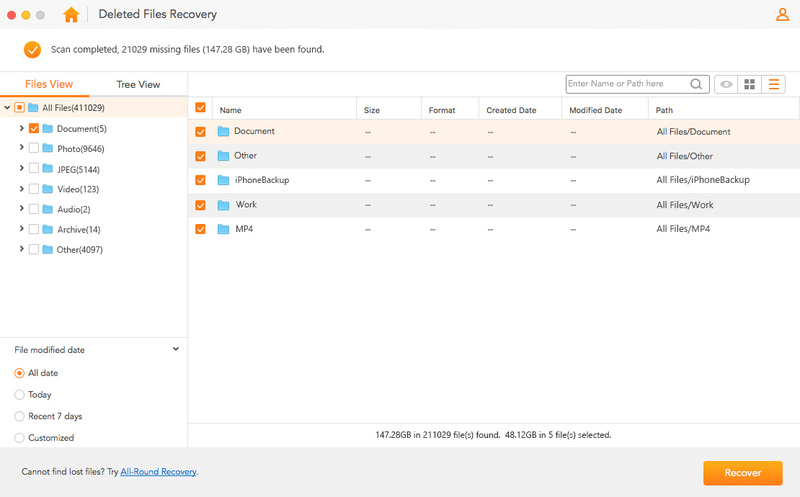 AnyRecover is an astute photo and file recovery software that combines a variety of scientific file detection and recovery techniques to find hidden photos and retrieve them in just a few minutes. 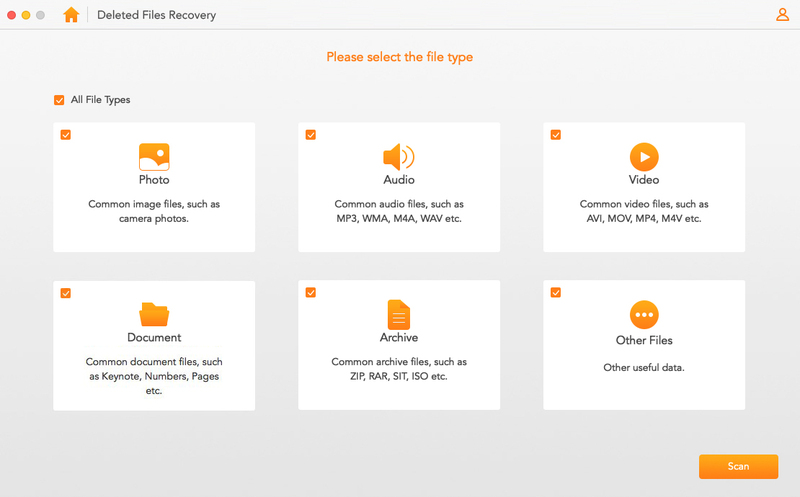 AnyRecover allows you to retrieve lost photos easily, efficiently and quickly, even if the said data has been permanently deleted. It supports different versions of Mac. It offers quick and easy photo recovery for Mac, you can retrieve lost photos just in a few minutes. AnyRecover supports all types of photo formats, like JPG, JPEG, TIFF/TIF, PNG, BMP, GIF etc. 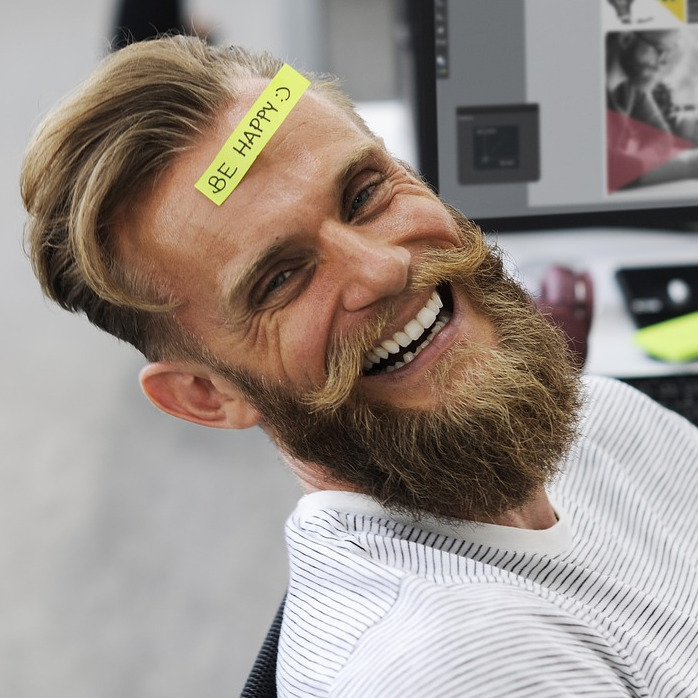 No matter how you lost your photos, by accidentally deleted, trash emptied, disk formatted or virus attacked, AnyRecover can easily restore them. It allows you to recover lost photos from a wide range of digital cameras and storage devices. Here are the steps to get your photos back using AnyRecover. Step 1: Download and launch AnyRecover on your Mac, then select "Deleted File Recovery" mode from the options on the main interface. Step 2: To start searching for the photo, select a location. You can select any location where you have lost photos directly or click "Browse" to ensure a more accurate location, then click "Next". Step 3: Next, select the type of file you want to recover from the list. In this case, select "Photo" and click "Scan" to start the process. Step 4: AnyRecover will perform a quick scan based on the selected mode, location and type. After the scan, the results of all deleted photos in that location will be displayed. Step 5: Once the files are displayed, preview all the items to confirm which photo to restore, then click "Recover". Note: Using AnyRecover does not guarantee that overwritten photos will be recovered. Step 1: Log into iCloud using your Apple ID and Password (Make sure it’s the same iCloud account as your iCloud Photo Library) via a web browser. Step 2: Click on the photos saved on iCloud and choose to download them to your Mac. You need to enable iCloud Photo Library in advance to avoid photos losing without syncing on your iCloud. Step 1: Open the iPhoto app. Step 2: Open the “Recently Deleted album” in the app window. Step 3: Select and preview the photos you want to recover. A blue check mark in the corner of the photo thumbnails indicate that they are selected. Step 4: Click ‘Recover’ on the top-right corner of the app to restore the selected items. Step 5: After the restoration, restart your Mac. 1. Images are automatically deleted permanently after 30 days from the initial removal. However, due to overwriting of disk space, photos might be deleted quicker and can’t be recovered using this method once they are overwritten. 2. This recovery method cannot retrieve pictures from other apps. Photo recovery software for Mac such as AnyRecover can help you get your photos back if you act quickly and minimize avoid overwriting the space occupied by the photos with new data. However, to be safe, always ensure that you have all your vital data properly backed up. You also need to be careful when you delete files from your Mac pc.